I think there is no doubt that Valonkantajat took me by storm with their 2012 debut album “Tuomittu Elämään”, and their 2014 sophomore album “Pimentola” couldn’t change that fact. However, when bands deliver such strong records already at the beginning of their career, there’s always the fear when a new release is announced. Will it be able to (again) live up to the high expecations? 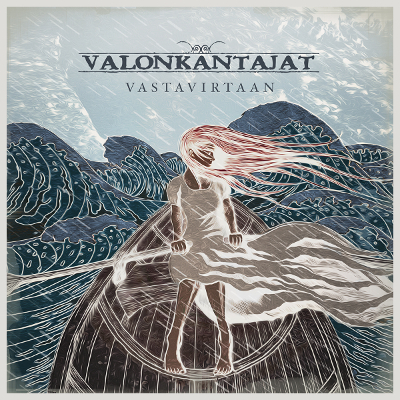 Already in November 2017, Valonkantajat released their latest work, titled “Vastavirtaan ”. And, what can I say? There was absolutely no reason to be worried. With nine songs, there is luckily one more song on the record than last time – that’s fine even though I think an album should contain at least ten songs. Compared to the last album, there have been a few changes in the line up. Former Children of Bodom guitarist Alexander Kuoppala and Illari Kauppi on bass are new in the band. 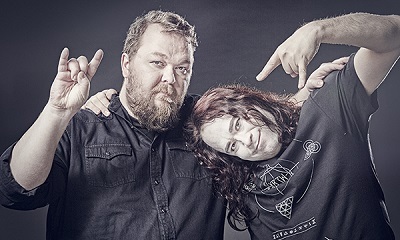 When it comes to the music, you can clearly hear the typical Valonkantajat elements: Emotional songs, performed in a melodic but gloomy way and with a penchant for catchy melodies that stick in your mind forever. For me, Valonkantajat are, at the moment, one of the best Finnish singing rock bands. “Vastavirtaan” will be hard to top but that’s what I thought about the two predecessor albums, too. An awesome band with awesome music that deserves a lot more attention.